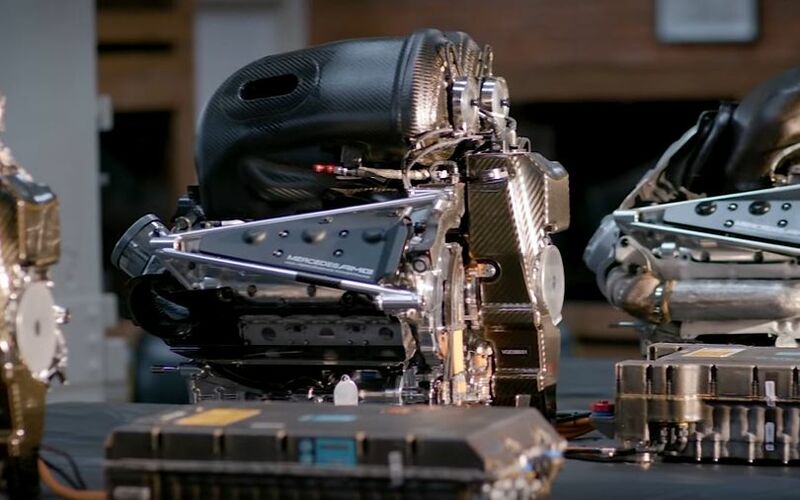 Engine chief Andy Cowell, talks Mercedes power units, and how it is becoming ever more challenging to find further gains, now that we're up for the 6th season with power unit regulations. well, that, and offcourse Toto Wolff is british. Ah no, he's austrian. Lauda atleast is british. Ah no, he's austrian too. Ok ok, so the engine is british since it's from brixworth. Oh wait, it's essentially Ilmor, Mario Illien's brainchild, so that would make it swiss? It's owned by Mercedes-Benz though. A huge percentage of the people who design and build the cars are British. The factories are both in Britain. Much like RedBull. STR is, at least, in Italy and mostly staffed by Italians as is Ferrari. Oh, and Ilmor wasn't just Illien. It was also Paul Morgan who was British. They set it up together. That's why it's "Il" and "mor". Just like Cosworth was "Cos"tin and "Duck"worth. Cosworth is where Morgan and Illien met, funnily enough. Anyway, next time I bump in to all of the British Mercedes engineers in the supermarket/shops of Brackley buying their lunches etc., I'l say hello to them in German. That'll show 'em! Tomorrow ... D Day. Can't wait. The camo is striking, but it can only fool the eyes, not technology. Other teams can simply photograph the cars using filters for infrared and other wavelengths to cut out the camouflage; or use a structured light camera like the kinect etc to get a depth map. Err what? You'll have to show me those filters. While we're at it, can I have some James Bond filters too, you know, see through clothes and stuff? I have to agree, the only way other teams could even attempt to get useful information, would be with a laser scanner. Good lock getting close to an opponents car with one, or getting a useful scan when it blasts buy on the track. It is basic image processing. You can use different aspects of the pixels to enhance the image and lose the camouflage. You wouldn't say so if you knew what a little code could achieve. For instance, in the crudest attempt; you might first find edges, then remove (or replace) contiguous colours, after which you could then remove edges that coincide with the edges of the colours earlier replaced (or removed). The whole point of using camouflage is to mask the real contures with fake “painted” ones. Edges/angles and the resulting contures of the body on a solid paint show due to shade, angle of light, reflection, depth etc - using a complex camouflaging technique can make it extremely difficult to differenciate painted from real contures, hence why they use it. Your argument is thoroughly illogical. I've included a photo taken in both natural and infrared light. The whole point of using filters to screen out various wavelengths is that colours show up differently, but depth remains constant. So you can simply subtract the parts that change while keeping the parts that don't, leaving contours only - basically a depth map - in that way, you can remove the camouflage. Light, shade, reflection etc can be manipulated in any photo, except it consists of a single colour (like white or black) only. Filters can be electronic, code, bog standard gel filters etc. Instead of tasteless James Bond jokes, you should at least read up on subjects you aren't familiar with. Last edited by GrandAxe on Wed Feb 13, 2019 1:29 am, edited 1 time in total. I'm surprised someone actually marked me down when the curious can gain useful knowledge from what I'm saying. I agree with you. I also think the point is that cars aren't static or images can be reproduced in repeatable environments. Software filters are code and can be just as "wrong" as aerodynamic models. Additionally it's far easier to use filters when you know what you're looking at to begin with as in your example. We should also agree on that. Additionally the camouflage doesn't so much hide as it deceives. Yes you can enhance quite a lot, but teams still do it so there's a clear benefit because they'd be the ones knowing most about the subject. I think it's been shown in the past that teams are on the lookout for photographic spies on the grid and take various active attempts to thwart those efforts. In any case, arguing is what this forum does best... in the most technical of ways even. I'm excited for the next couple of days! I'm sure there will be a huge flow of arguments; and you can bet too that if Merc comes out all in lovely new camo, that many will also attempt to strip it right off. Heheh! It will be manic from tomorrow, I can't wait either. My personal preference is for the previous colour scheme. The camo is ok for testing - nothing more. But maybe I'm boring, who knows. The camo paint job is pure marketing but your other theories don't survive contact with reality. Use Occam's razor. No one is walking round the pit lane with laser scanners, Kinects or shooting in IR because all the info competitors teams are looking for can be had from commoner garden photos. They're not looking to reconstruct detail they're just looking for trick parts or even illegal parts or interesting ideas. WRT to the camo and dazzle paint job of the Red Bull these are just to get the press talking as if the teams were truly trying to combat scanning or even photogrammetry reconstructions the ideal paint job would be a highly reflective chrome finish. As someone who has done countless photogrammetry jobs there's nothing that fecks up computer vision more than moving reflections and moving specular highlights. The camo and dazzle paint would provide more detail for the pattern matching and 3D reconstruction software therefore, no team is actually bothered that photo scanning is happening or useful. No one had any problems seeing details on the dazzled Red Bull but go back in time to the highly polished McLaren Mercs they were an absolute nightmare and were a constant source of trick part finds or holes only to later be identified as a reflections. It must make people (jn the team) so mad that Lewis never does the shakedowns or really cares about testing.